I am crazy about pumpkin pie and love pumpkin muffins. 2 Bite Brownies are pretty awesome too! But they are all pretty high in fat, calories and weight watchers points. So….I have created these light 2 Weight Watchers freestyle smart points healthy mini pumpkin pie blondies. It’s sort of a cross between pumpkin pie, a healthy pumpkin muffin and 2 bite brownies. Every year we have pumpkin pie for Thanksgiving, Easter and Christmas. But one year when I was trying to be really good, I decided that I wanted to make a lighter dessert for Thanksgiving. That was a mistake. Over the years I’ve gotten pretty good at lightening up recipes and creating healthy weight watchers friendly desserts, but unfortunately, not all of my attempts have ended in success. And that Thanksgiving dessert was a very good example. Some WW points are worth it! So, at this point you may be thinking that 2 Weight Watchers (WW) points for a mini muffin still seems a little high. Okay, I’ll give you that BUT…these are really GOOD! And not all low point pumpkin desserts are. As I’m sure you already know- this is not my first Weight Watchers rodeo. 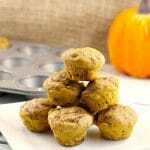 And that being said, I’ve eaten A LOT of WW food, desserts, muffins etc.. over the years, including WW pumpkin muffins. And I can attest that some were NOT good and some were even downright BAD! 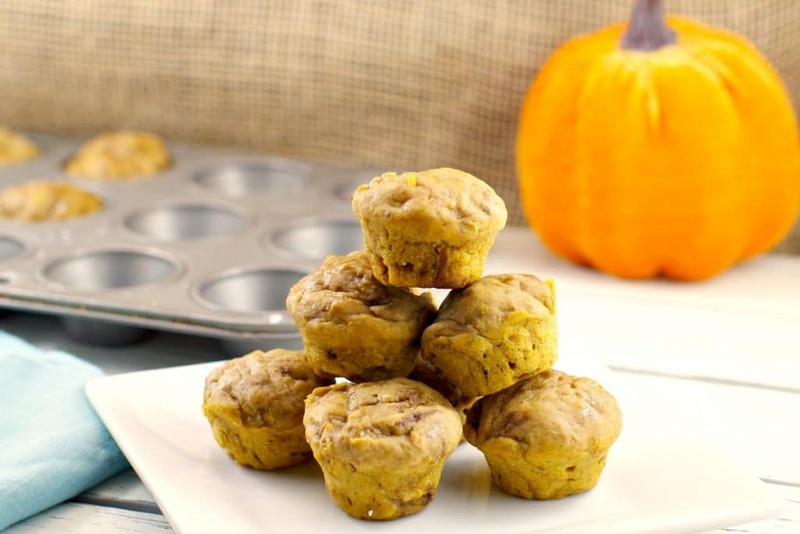 So, I know a good Weight Watchers pumpkin muffin when I taste one and this is one of them! Sometimes you have to sacrifice a point or two in the name of decent food. And you don’t have to sacrifice the richness or butter or sugar in this recipe. It’s all about balance, after all. The year I made that terrible Thanksgiving dessert was the year I decided that some things were just worth the points! My pumpkin mush dessert was so bad that from that moment forward, I’d vowed that I’d just bite the bullet, swallow the points and eat my fabulous Prize Pumpkin Pie at every holiday dinner. But that’s only 3 times a year! What about the rest of the year!? 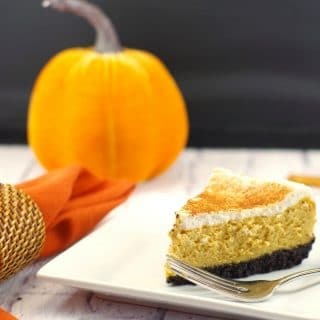 Healthy Pumpkin Dessert year round! I needed a light, healthy pumpkin dessert that I could eat all year, that wouldn’t break the weight watchers points bank. And that is why I created these healthy 2 bite pumpkin blondies! But this light pumpkin dessert is good, so enjoy it and remember…. some points are just worth it! Oh and here’s another light pumpkin dessert that’s also amazing! These 2 Light Bite Pumpkin Pie Blondies are a cross between a healthy mini pumpkin muffin and pumpkin pie, meets 2 Bite Brownies. They still have some butter and sugar, so you don't have to sacrifice rich taste completely. At only 2 Weight Watchers freestyle smart points per bite, they'll satisfy your pumpkin pie, blondie, brownie and muffin craving without breaking the points bank, all in 2 bites! Preheat oven to 350 degrees. Spray a mini muffin pan with non- stick cooking spray. Whisk flour, spices, instant coffee granules and baking powder in a medium bowl. In a separate large mixing bowl, add butter, brown sugar, apple sauce, pumpkin and mashed banana and beat on medium-high with hand mixer until pale and fluffy. Mix in egg whites, maple syrup and vanilla. Reduce speed to low. Add flour mixture (with spoon) and mix until just combined. Fill prepared mini muffins tins to 3/4 full and bake for 15 minutes or until cake tester comes out clean.